In June 2017, UBC’s Student Health Services got a new roommate in the form of the UBC IUD Clinic. The clinic was founded and continues to be run by UBC medical resident Dr. Aalia Sachedina, and general obstetrician Dr. Nicole Todd. Intrauterine devices (IUDs) are a contraceptive method that comes in two different forms: copper and hormone-releasing. They are small t-shaped devices that are inserted into the uterus by a trained medical professional and can remain for three to ten years depending on the type. 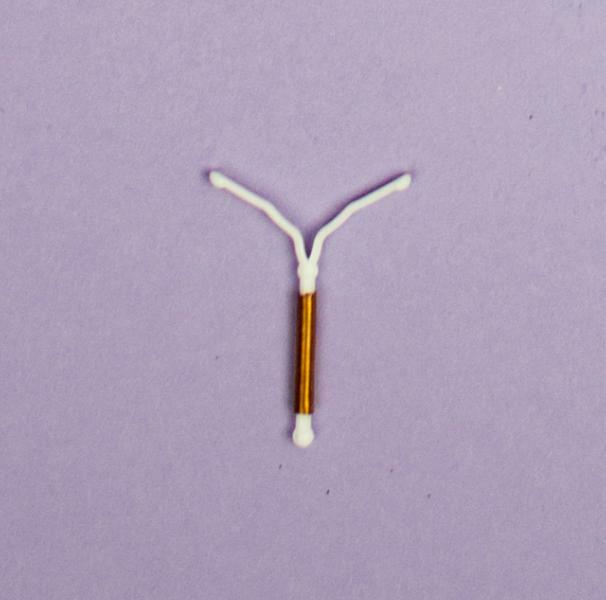 While it’s in place, an IUD is 99 per cent effective in preventing pregnancy. The UBC IUD Clinic was designed to provide UBC students with convenient, affordable access to an on-campus service that offers IUD counselling, insertion services and post-insertion follow-ups. Prior to the introduction of the UBC IUD Clinic, students needed to go to an off-campus clinic to have their IUD inserted. “Our aim is really to break down the barriers that students were facing in terms of getting an IUD previously, both in terms of location of insertion and the advantages to having a clinic on campus,” said Sachedina. Normally, the cost of an IUD can run up to $350 without extended health coverage. At the UBC IUD Clinic, students are able to have a copper or hormone-releasing IUD inserted for under $80. Todd and Sachedina wanted to make another clinical option available to students on campus aside from Student Health Services. While the clinic currently provides IUD insertion and follow-up appointments one day a month, Todd and Sachedina are hoping to expand the number of clinics and the number of specialists available to provide service one day every other week starting this month. There are many misconceptions about IUDs, including who can use an IUD as a contraceptive option, but a counselling visit to the clinic can help clarify uncertainty. Students can talk to specialists at the clinic about what they’re looking to get out of their contraception and what the best option is for them. “We do operate according to positive space and we’re very open to anybody who requires menstrual suppression or contraception regardless of gender identity or sexual orientation,” said Todd. To see one of the specialists at the clinic, students need to book an IUD appointment using the current Student Health Services booking system. Student Health Services and the IUD Clinic have an integrated working relationship, which makes it easy for students to obtain referrals to the IUD Clinic from one of the Student Health family physicians. During the start-up process, Todd and Sachedina worked with pharmacists, family physicians and nurses to ensure that students could receive extensive information about the different contraceptive options and have access to a streamlined form that would make requesting health coverage for their IUD easier. “I think this is another great example of how interdisciplinary care to improve student health really has positive effects,” said Todd.